Do you own a Roku Player? If so, search for the Rate Rix Channel, nestled under Photo and Video, and install it into your channels. Once you have it all installed and are registered up, search for “everydayhdr”. You now have access to all of my YouTube Tutorials in the comfort of your own living room! I watched a couple this weekend, it is weird watching your own tutorials on TV. If you don’t own a Roku player, you probably should consider one. My wife and I bought one when we moved into the house in November. We broke the chains of the Cable companies, purchased a digital antenna to receive local channels, and bought a Roku to access all kinds of stuff. The Roku is a little box that is a one time purchase. 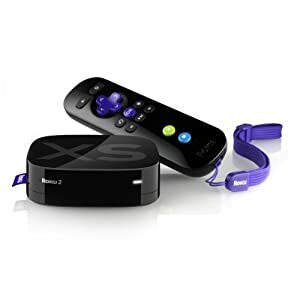 It plugs into your Wi-Fi connection and your TV via an HDMI cable and has the ability to stream all kinds of channels to include, Amazon Prime, HBO Go, Netflix, and Hulu Plus. So as far as the initial expense we are looking at anywhere from $80-130 for this setup. The monthly charges $15.98. That sure beats the initial setup cost of Cable and the monthly fees that can easily rack up to $100 per month. Sure we don’t get much on Prime Time, but what we can’t watch today, we watch tomorrow on Hulu Plus. Best of all, you can watch EverydayHDR Tutorials from your couch… did I mention in High Definition? Don’t forget that if you’re an Amazon Prime member, you can also get a lot of streaming content over your Roku for no extra dollars. You can also pay for content like recent movies. Even at $4-5 a pop, you’re coming out ahead. Hmm, I did not know that. I do not have the Amazon Prime membership, however, I did see the option on there. That is true, I did miss that one. I have a friend who does not use their HBOGO account… lucky me!